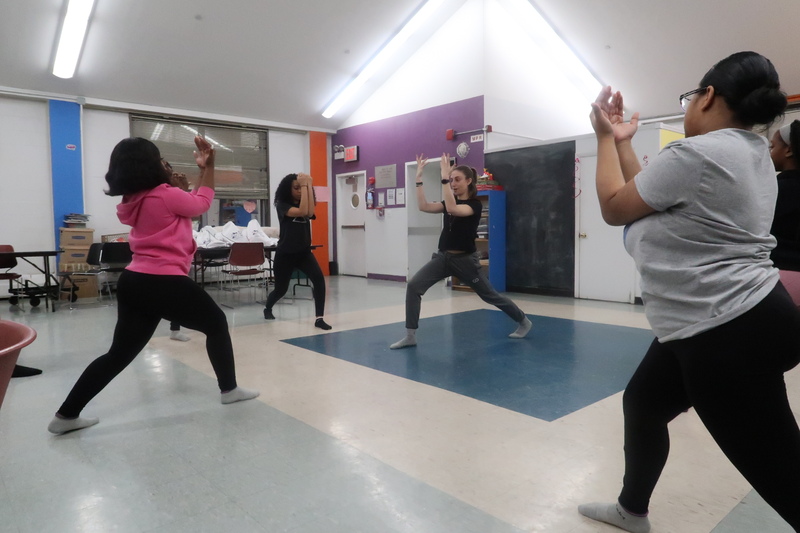 “Yoga is the union of your actions and your breath.” That was the number one thing I took away from the program that day; we were at a homeless shelter in Queens, providing yoga tips to teenagers. To me, the quote means that you must be intentional with your breath and know how to transfer that to your actions. In order for this union to occur, there needs to be a conscious effort, allowing yourself to be aware of where you are and what you are doing. And once you are aware of those things, you start to feel in tune and in charge of yourself. Even though I did not participate in yoga, witnessing it gave me a sense of comfort. Seeing everyone doing their breathing exercises brought a sense of relief and made me feel calm. There was a particular silence to the room and for me, a silent space is where I’m most comfortable. I was surprised to see that everyone openly participated in the program. Not a lot of people, especially teens will take the time out to just sit down and meditate or do yoga. Both yoga and meditation are very beneficial when it comes to feeling revived in a way. It is great that they were open to new experiences, as everyone should be. Being a teen myself, I know how difficult it could be to balance everyday life while still trying to kickback and relax. The comfort drop programs are not only beneficial to the youth involved, but to the volunteers as well. As a photographer, my mind focuses on a few things: listening to find out what is going to happen next, looking around for interesting shots, and trying not to stand in one place for too long. As a person, I am constantly taking on different activities, like being a full-time student while juggling both an internship and a part-time job. Whether these tasks are doable or not, having so much on my plate becomes overwhelming. Since yoga requires minimal movement, it allowed me to sit in parts of the room for longer periods. I was able to evaluate my surroundings to actually take in and process what was being said during the program. The atmosphere allowed me to take myself out of my shoes and gave me a moment to relax and have a much needed break. This goes to show that yoga and meditation are powerful tools and Precious Dreams is helping youth realize this power.